I have all the latest betas installed -- but can't figure how to get Airplay 2 to work... Any help? I'm just thinking how HomePod creates the sweet spot, vs how we decide HomePod's placement. It would be nice if a user could stand or sit at the sweet spot and send a beacon signal covering the audible range to the HomePod, which could then use that as a basis for the algorithms to create the sound balance. My guess is that the HomePod isn't designed for "sweet spot" listening, so we'll never see that feature. The HomePod is more about filling your whole house (or, at least, room) with sound, and making it sound good no matter where in the room you are. I don't disagree. I was just trying to create a scenario that would work with the existing HomePod hardware and, for example, the microphone of the iPhone, to be able to target a particular "sweet spot"/"listening spot" in a room. I'd argue that Apple could do this, though I'm not sure it is really necessary, and it would certainly require updated software to do that. Still, as a minimum, it would be beneficial for someone/Apple to create a document or video to highlight a basic set of rules to optimize HomePod in a room. 1. Wow, this thing is heavy for its size. 2. Everything needs a fabric-covered power cord like this. 3. Siri's voice sounds good. 4. Whoa. The bass. It's unexpectedly DEEP for a 4" driver. 5. The highs are crisp and clear and sound good throughout the room. 6. I was hoping for a bit "warmer" sound akin to the Bose products I have. The HP seems to be lacking a bit in the mid-range department. It's heavy on bass and treble - much like people adjust equalizers in the shape of a "V" or "U" (I'm telling my age here). 7. Siri hears me even better than my Echo devices, which is impressive. I do like the braided/fabric cord, but I do wish it was detachable. Weird: iTunes was playing thro the HP and I rebooted the iMac -- the HP kept playing through the sign-on screen. That tells me that the HP must be buffering most, if not all, of a song. This may very well be the biggest half-baked product ever released by Apple. Great that the sound quality is superb. I can appreciate that. But as far as a Smart Speaker goes, this thing is far behind the power curve. I am very pleased with the sound. I am not disappointed that Siri can’t do everything I could imagine or as much as Alexa. I find myself enjoying my purchase so much more if I am not focused on what it cannot do. I, too, remain very pleased with my $349 HP. I had level-headed expectations based on preliminary information and early reviews and it has exceeded those expectations over the first few hours. Of course it doesn't play as loudly or shake the walls or provide the same stereo separation that my Klipsch horns and sub do, but the sound quality is equally impressive at volume levels conducive to casual or background listening. There are a number of little things that are important to me as well, such as Siri being able to tell me what the volume level is when I ask. Alexa can only show me. Also, my OCD flares up for Bluetooth solutions that have two volume controls - one for the source and one on the speaker. The HP's volume corresponds to the setting of volume slider on the source, so you don't have to worry about adjusting the speaker and source volumes independently. I predict the general population will love the sound, but audio purists may not like the various amounts of equalization. Then again, those listeners probably will probably use speakers in the four and five-figure price range instead of a $349 "smart speaker". At low volumes, a loudness curve kicks in to significantly increase bass and treble. At mid volumes, there's still a little dip in the middle. Ad mid-high volumes, the mids start to fill in and bass maxes out. At the highest volume, bass doesn't increase, but the mids do to increase the overall volume at the expensive of the mids being a bit too strong. For now, Alexa and Siri will co-exist in my home and I'm okay with that. The Echo will continue as the voice assistant while the HP will be used for music. Siri does not distinguish between people nor does it allow multiple accounts. If you enable access to messages, notes and reminders, and your iPhone is within range, anyone can access them by voice. If there are two people in the same room, in range, which does it go to? It doesn't distinguish voices, but does it respond to all voices? Currently, my wife's devices ignore my "Hey Siri" and vice-versa. I'm not really sure what you're asking here. Are you both saying Hey Siri at exactly the same time? It listens to whoever prompted it. I don't see where this would be a problem. It responds to all voices. OK. Gotcha regarding the voices. To clarify my other question. If there are two phones (sorry I typed people earlier) within range and you ask it to set a reminder or read back a text, which phone does it grab it from? Thanks for the responses, Neil. It can only be set up with one phone and one account, that's it. So if you ask it to pull text messages, it will only do so from the one authorized phone that was used to set up the account. Alternatively, as part of the initial setup, you can disable HomePod access to messages, reminders and notes. This means that not you nor anyone else will be able to read messages from your phone (or whatever one it is paired with). If you have access to messages enabled, there is no security feature. If your phone is within range, anyone can ask Siri to read your unread messages. How does the “Hey Siri” canceling work with multiple people in the room with multiple devices? I mean you initially set up HP with some voice samples, but that doesn’t matter as far as account recognition as it’ll respond to anyone, right? So what if someone else says Hey Siri but they’re talking to their watch or phone, both on a different Apple ID, and the HomePod on the other account is in the room and “takes” the request? Honestly confused how this thing works with potentially several people using Siri in proximity of the HP and how having only a single user setup for your personal information/etc makes any sense at all unless you live alone and have no visitors ever. HomePod gets priority over all other devices as long as they are not active (ie, iPhone is locked, wrist is not raised). If you want to do an iPhone-specific command without HomePod, while HomePod is within earshot, grab your phone and unlock it first. Yeah, but... I guess my question has more to do with someone who is NOT the owner of the HP and has Hey Siri enabled (while iPhone is locked, if that's a factor) and they're used to firing commands at it, what happens when that non-HP owner person says "Hey Siri, read me my last message" or "Hey siri call mom" or something like that — does the HP catch it instead and start reading off the other person's info? Does that person's phone step in because it is somehow smart enough to know it's not the owner of the HP but is the owner of the iPhone? I am usually not one to over-question how these things work and assume Apple has "figured it out", but I'm honestly curious how they avoided this one user thing being a disaster for any number of reasons. LOL Then I have to worry about them chewing it, just like I'm worried about a cat using the fabric on the HomePod has a scratching post. I wonder if Apple tested those conditions. In that instance I'd think that both devices would answer since neither one is likely going to be able to negotiate by seeing they're on the same WiFi. That solution would likely never come because the next real move is to offer multiple accounts for the device and different voice profiles for different users. I couldn't get on with the way the Sonos system required everything to be played through its own app. One of our popular activities with friends is to do am music quiz in which everyone searches using their own iOS device for a song, and then plays it either using the headphone cord or Bluetooth. I'm concerned we won't be able to do this with HomePod. Not sure why you wouldn't just take turns AirPlaying to it, if it has to come from each person's device. But if it doesn't, and you have Apple Music on your HP, why not just take turns asking it directly? Also, aren't they bringing back a party/multi-user mode for Up Next to bring back the functionality we once had with iTunes DJ (previously Party Shuffle) where people could all vote on playlist items via Remote? Maybe that's coming with AirPlay 2, I don't recall. EDIT: yep: "Furthermore, with AirPlay integration in Home, users can operate a shared “Up Next” play queue, meaning everyone can add their favorite songs to the queue from their own device." The lack of Calander data despite connecting to my iCloud account is less than ideal. I've also been unable to connect the HomePod to my Mac either through my Mac or through the HomePod, yet with the Echo I can have it connect with a simple voice command. HomePod doesn't even show up under AirPlay when on the same network as my Mac and with the same iCloud account. This is less convenient than AirPods which does this seamlessly. I'm not entirely sure what you mean by "connect the HomePod to my Mac", but for me it just worked. I don't have an Apple Music subscription, though I do have iTunes Match, so maybe it was still pulling music from the cloud. I don't know, and I don't really care (part of why I like Apple so much - I don't need to know how it works). When I went to my mac a couple minutes after setting up the HomePod, the HomePod showed up as an airplay device and I could easily stream music to it. It all was as seamless as one might hope. At least in my specific case, they absolutely nailed the user experience. This is what I see (before installing any betas to get AirPlay 2 support). I'm glad to know that it's not completely blocked as an external speaker. iTunes Match or not, if you're able to connect your HomePod to your Mac via AirPlay it should be connected over your LAN. That's for your sending your video out over AirPlay. Go to iTunes and look at your audio output button next to the album artwork up top, you'll see it listed there. If you want to AirPlay *other* Mac audio, you'll need AirFoil or something, at least until AirPlay 2 comes out in macOS. That's what I meant, the dog will make the cord detach... never mind. The cat thing does actually have me slightly concerned. They have pulled the fabric screens off my 20yo Cerwin Vegas a few times. I understand what I was trying to do. I think it should allow this just like with the Apple TV and AirPods without a 3rd-party solution in the way. To use this via iTunes I'd have to first find a way to rip the audio from the YouTube music video I was sent (which I'm not going to waste my time doing), or first go into the Apple TV settings to switch the audio to the HomePod (there is no Siri Remote command to do this with ease), and then use AirPlay to my my Apple TV just to get the audio from that website's video. Those are not seamless solutions. So one factor would be the non-HP-owner would be on a different Apple ID, so there'd be no triaging who gets the question, unless they made it smart enough to figure the voice was closest to an iOS device with a different Apple ID, so the request should go to it and not the HomePod. I'm not confident they went that far, so I honestly don't know what happens. I'd love for someone to test this out and let us know. 1) It sounds great. Really has a good balance of sound. It is a bit bass heavy at times, but never to the point I don't like it. Really depends on the album. Listening to Devon Townsend Project right now, incredible balance. The bass has a huge range, from deep deep lows from electronic sounds to a nice punchy bass drum. When I play some albums from the 80's (tried Metallica's "Trapped Under Ice") I can hear the bass but it definitely doesn't have the overall sound that a more modern album has, but it still sounds good. I have always preferred a deep bass and high upper range with a slightly muted midtones (a u shape on an equalizer) and the HomePod seems to deliver that sound. I wish there was some control over the equalizer (tried adjusting the EQ in my iPhone settings but that doesn't do anything). 2) It can get pretty loud for such a small package. Not room shaking, but definitely loud enough to fill my living room and kitchen. What is amazing, is when I turn it up all the way, IT DOESN'T DISTORT! That's right, they made the HP capable of playing at max volume without sounding like crap (why make a device that can go to "10" when it sounds like crap at 9 or 10???"). Yes, the tone of the music does change a bit at different volume levels. At higher volumes the mid range starts to creep in more. At lower volumes that bass it a little more dominant. 3) Siri isn't bad at all. Her microphones can pick up my Hey Siri even when the music is quite loud, and I don't have to say "hey siri" and then pause, I can just keep talking and it will understand me. Music control with my voice works very well. I also dig the fact she can read my text messages and even reply back. 4) I subscribe to iTunes (such an awesome service). It works so well. I can either play music on my iPhone and airplay to the HP, or I can play music directly through the HP. What is cool is when I play through my phone, I can control the volume, track, etc with my watch. Switching between phone and HP is very easy to do. In conclusion, I'm quite impressed. Sure it doesn't sound as good as my home audio system in my rec room, but it shouldn't. It's a 8" high single device but the sound that does come from it is quite amazing. It takes up very little room on my fireplace mantle and fills my living room with rich, wonderful sound. It connects to my entire music library without having to reach for my phone if I don't want to. It looks amazing, another high quality piece of hardware from Apple. To me it's definitely worth the $350. I don't have room for a full audio system in my living room. Right now I have an echo (which for music sounds like crap), a sound bar for my TV (good for movies, bad for music) and really wanted something small that would sound good for music. The HP fits the bill perfectly. Very happy customer, and looking forward to future updates that make it even more powerful. Yeah, but...isn't that known to be coming with AirPlay 2? I just meant you *can* do it now with AirFoil which is a fantastic program that will mostly be redundant when AirPlay 2 gets baked into macOS, otherwise you're limited to iTunes, same with nearly all other AirPlay devices (ie all my AirPort Expresses throughout my house) — save AirPods I guess, which I guess I didn't realize lived in that AirPlay menu; I didn't realize you could send all your system audio to them that way, but I guess that makes sense. For short uses, if anyone is interested, you can use AirFoil for free in stretches up to 10 mins before audio is degraded and you have to restart it, if you don't want to pay the $29. Good enough for short YouTube videos. 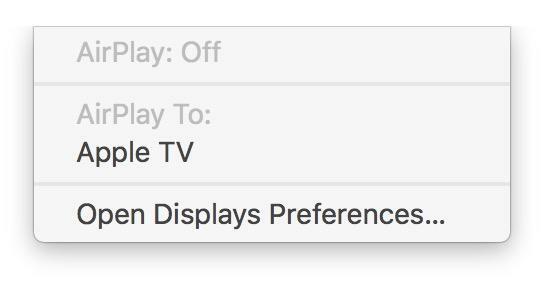 I don't know how extensive AirPlay 2 will be once I install the latest betas. One thing I'm hoping is also included is the HomePod being able to pull BT or an AirPlay connection from a previously connected device the way the Echos can. I come in from a run, for instance, and say "Alexa connect" and whatever I'm playing will instantly jump from my iPhone to the home. It's very Apple-like. If that feature alone is available in the OS betas then that'll be a huge win for my convenience. I found siri to be quite amazing. Granted, I don't want to do a bunch of stuff with it other than play music and check the weather, but it does that remarkably well. I can be in a totally different room and the speaker still responds to my voice, and is able to play my songs, raise and lower the volume, pause, etc. For the purpose of playing music -- which is what I think it was primarily designed to do -- it does it superbly. I could get upset that my toaster doesn't make ice cubes, but that doesn't mean it's a lousy toaster.